For centuries the Old City of Jerusalem was home to almost all of Jerusalem’s Jews. They chose to stay close to the Western Wall, and they also flocked to the synagogues and seminaries which were located throughout the Old City -- not just in the "Jewish Quarter." Only in the late 1800s did some Jews start to leave the safety and confines of the Old City to new neighborhoods Mishkenot Hasha’ananim, Yemin Moshe, Mea Shearim, the Bukharian Quarter and Batei Ungarin. Some of the synagogues of the Old City dated back hundreds of years. 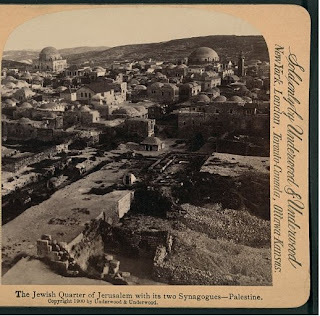 Two of them had prominent domes, seen in this 1900 picture from the Library of Congress collection, -- the Tiferet Yisrael Synagogue (left) and the Churva Synagogue. 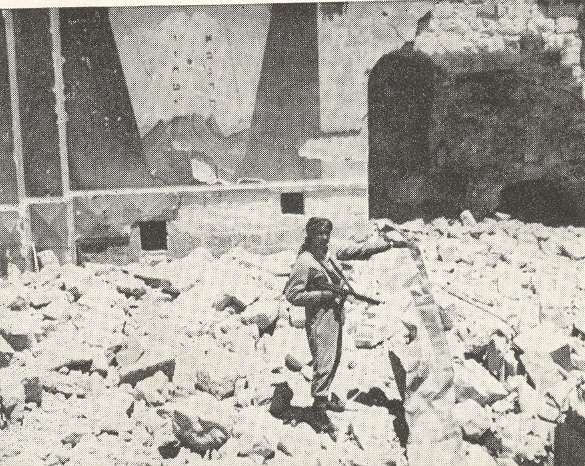 Both were blown up by Jordanian military forces in 1948 during and after the battle for the Old City. 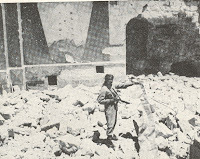 Another synagogue, Ohel Yitzhak, also known as the "Shomrei HaChomos synagogue," was located in the "Moslem Quarter" and was abandoned in 1938 during the "Arab Revolt." 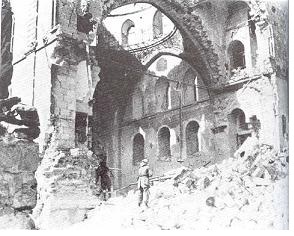 A future feature In "Israel Daily Picture" will show the interiors of the synagogues and how in some cases the synagogues have been rebuilt.